Top 6 Avoidable Costly Service Calls. Always make sure that you have checked the following as this can reduce your need to call us out for Lift Maintenance. 1. Dirt, debris, or objects in the door tracks. Obstacles in the doorway can prevent the door from closing, trip out door protection timers, or even burn out door motors. The best way to prevent these problems is to regularly vacuum both the hall and car door tracks on every floor. Be especially aware of small coins and dust mats that have shifted into the door path. Once obstructions have been cleared, many lifts can be reset by pressing the door close button, or turning the elevator onto independent service and then back to normal operation. 2. Platform lift or Passenger Lift running when the service technician arrives. Before placing a service call to your Lift Maintenance company, have a person in the building double-check the complaint and verify that none of the other items on this list are the source of the problems. Elevators periodically exhibit some unexpected behaviours as they attempt to recover from non-critical faults or events. This recovery/ self-resetting process can sometimes take a few minutes before the lift returns to normal operation. 3. Key switch left in the wrong position or wrong key. Run/Stop key switch or toggle switch – Where provided, this switch is usually located in the lift car. This feature is most often used by maintenance personnel to disable the lift car for certain types of work. Fire Fighters key switches – Where provided, these switches are located in the car and in the hall. They are used to provide fire fighters with access to the lift car to ensure that no one is trapped and in some cases to reach the upper floors of the building in a controlled manner for firefighting. To reset an elevator from firefighters mode, it is often necessary to place two different key switches (where two are provided) into the OFF or RESET position simultaneously. One of these switches will be right by the lift. The second (if applicable) will be by the main fire panel either in the entrance area, or in the CACF, Central Alarm and Control Facility. These switches should not be used to try to recall the elevator to the lobby if you suspect that it is out of service or stuck on another floor. Security key switches or timers – Where provided, these switches can be located in the car or in the hall. They are used to disable the elevator or certain floors. Sometimes there are timers to disable some floors, only at certain times of the day. Other Special Function key switches – Where provided, Code Blue, Emergency light key switches, fan key switches, light key switches and others can also be a source of problems if left in the wrong position inadvertently. Any of the key switches listed above can cause the lift to operate in a way that differs from the normal operation. This different operation can often result in a false service call. Inserting the wrong key into the wrong switch and trying to force it, often results in service calls for broken, or jammed keys as well. 4. Phone in lift not working. Before calling Premier Lifts for phone problems, double check to make sure that there have not been any recent changes to the building’s phone lines and that no lines have been disconnected. If possible, also check that the phone line is live and has dial tone before it enters the lift room. 5. Lift doors hit by carts, or other objects. When a lift door is hit, the rollers and guides can be knocked out of alignment. The lift door reversal protection equipment is often also damaged, or misaligned by impacts. These situations can often been prevented by using the independent service feature to keep the doors fully open, or by using an extra person to help move things. The extra person can hold the Door Open button while items are being moved through the entrance of the lift. 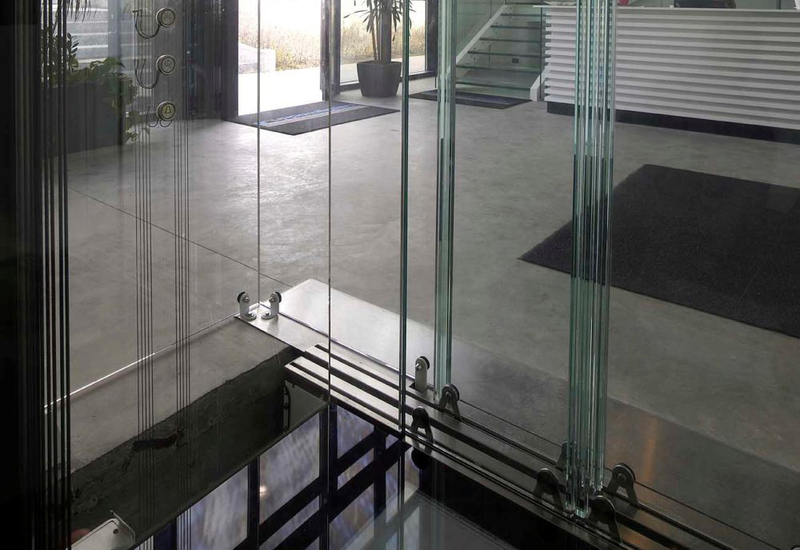 If the door equipment is damaged, or misaligned from an impact, it will require a visit from Premier Lifts to correct the problem and to restore the elevator to full and safe operation. 6. Lift Main Disconnect and Power problems. Power problems coming into the elevator controller often cause it to shut down. Some of the most common problems are: power failures, brown outs & low or missing voltage. All of these situations can blow fuses and/or cause other forms of lift protection to trip. Before calling your elevator service company if there are power concerns, it is best to have an electrician, or someone else in the building with electrical abilities check the lift main disconnect switch. They should check for balanced power on all phases and that the lift main disconnect fuses are not blown. Please note that there is usually a separate smaller disconnect switch for the lift car overhead lights. If these items are all normal and the lift is still malfunctioning, a service call should be placed for the correct lift maintenance to Premier Lifts.